I was as excited as anyone else for the My Girl reunion, and so far the lead's chemistry is living up to expectations. Unfortunately the same can't be said for everything else about the show. There's a lot of politicking so far, with the typical melodramatic trappings of conspiracies, evil villains and overdramatics. 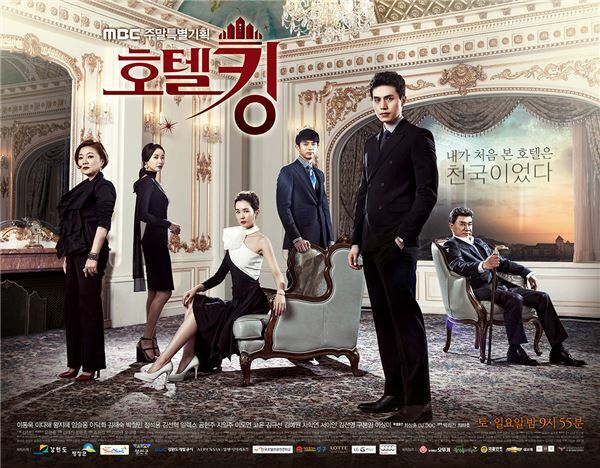 Episode 1 was easily one of the worst Kdrama episodes I've ever seen, though thankfully episode 2 redeemed the show and left me interested enough to continue watching. 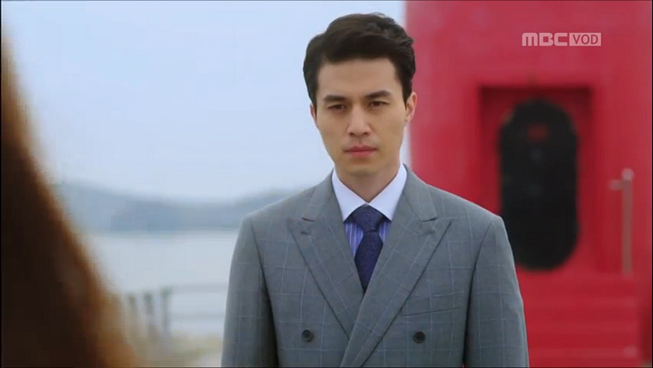 Lee Dong Wook plays a former orphan who was picked up by the gray-haired guy (who's the villain of the show) and groomed to be his accomplice of sorts in gaining control over the hotel. He's now the hotel general manager and is pretty dreary and dull so far, with little to do except grim around (no smile yet). I'm hoping the character warms up more in later episodes. His motivations are fairly one-note and obvious (e.g. traumatic past), so we'll see if the writer can build on that. Lee Da Hae's flighty heiress character is much more intriguing, and is the main reason I'm sticking around right now. She just has a much more interesting backstory, and mixes ditziness with interesting revenge motivations. I'm still not sure what to make of her character, and that's a good thing. The two didn't show much chemistry until the very end of episode 2, as their other interactions to date have primarily consisted of disagreements over the hotel and such. But when the chemistry was allowed to surface, it did beautifully, and completely converted me over to them. Prior to that ending, I was totally on the second-lead ship. It's nice to see a guy who plays the poorer character for once, and second-lead guy is a concierge at the hotel. He's adorable, and I kind of wish we had a drama where we could watch the heiress and him rather than the heiress and the general manager. Wang Ji Hye, or second-lead lady, has never been an actress I've liked, and she isn't doing much to change that here. Her characters always come off so properly elegant that they're stiff and boring. There's also absolutely zero chemistry between her and Lee Dong Wook, so unlike second-lead male I have no desire to see her onscreen with anyone. I also suspect she'll be a major source of angst later. Let's now move to the absolute horrible experience that was episode 1. We get probably one of the worst opening/backdrop scenes in drama history, which features child abuse, bad English actors, and the most outlandish and borderline insulting portrayal of American gangster life possible. I was embarrassed for everyone involved in that. This also might have been me overthinking things, but the "rescue" of the little boy by the gray-haired actor came off distinctly pedophilia-ish (maybe the fact that he was standing there bare-legged in the guy's white shirt...) I blame this on the director, who's so far been very spotty and frankly a pain to watch. The editing, the music, and the angle of the scenes are jarring and make for unpleasant viewing. Additionally, our lead lady doesn't show up until almost the very end of the first episode, and when she does we get subjected to another foreign-language scene, this time involving a lecherous Chinese boatman. The in-between political set-up left me sleepy and disengaged - I frankly have no idea what Lee Dong Wook was yelling at the suicidal chairman for. Is he really his son? If so, are we in for some more fauxcest with Lee Da Hae? Why was no DNA test done, because I'm certain this was just the gray-haired villain spouting lies again. My recommendation is to fast-forward or entirely skip episode 1 until the final five minutes. It's a degrading viewing experience, and no one else needs to be subjected to it. Aside from that, I'm hopeful for the future of this show.